Deciding to start a home business is a huge step in your career path. This could be a golden opportunity to finally live out your dreams. Despite all the wonderful stories about entrepreneurs making millions of dollars from an appearance on Shark Tank, operating a home business is very challenging. Even before you begin work on your business plan, you should create an environment that will allow you to be as productive as possible. Your business might just be entirely computer-based but you still need a private workspace to get the job done. This is where hiring Junk King Albany is a smart business move. 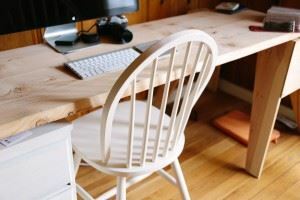 Do you have a spot in your home picked out for your office? It could be your spare bedroom or down in the basement. Chances are those areas are already full of clutter that needs to be cleared away. Junk King Albany will provide all the tools you need to accomplish that task. The capable two-man moving crew assigned to your junk removal session will happily climb down to the basement or up to the second floor to take away whatever it is you want tossed out. That could be just a bunch of small boxes holding close and other household goods or it could be bigger pieces like a sofa or bedroom set. It really doesn’t matter to this crew how heavy something is. All they care about is how they are going to packing onto the truck. Before they begin the work, they’ll figure out that packing and provide you with an estimate based upon how much space your junk is going to fill on that truck. This is a one-time fee that covers the cost of all the crews, transportation and dumping fees. It’s also a price that’s going to be locked down. Your clutter might end up taking up more space of the truck. What happens then? You’ll be paying that original low estimate. This is one of the many reasons why Junk King Albany is the best deal for junk removal services in the Capitol District area. Get your home business started on the right foot by clearing out the clutter thanks to Junk King Albany. This entry was posted in junk removal and tagged clutter, home business, Junk King, junk removal on July 30, 2016 by Todd Porter. Last updated August 16, 2017 . 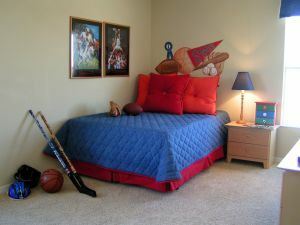 Is It Time To Clear The Clutter Out Of Your Kids Room? The mission of every parent is to get their kid to clean up the room. It really doesn’t matter how old that child is, the goal is to get them to take care of their mess before you have to step it! Although summer is the time for a family vacation it’s also a good season to reevaluate your kid’s current living situation. They may be making the transition from toddler to first grader or middle school to junior high. They would certainly be a lot of room to reconfigure their room and get rid of a lot of unwanted items. This is where a call to Junk King Albany will be a huge benefit. In no time at all you’ll have all that clutter cleared out from that room and the rest of your house. Before the Junk King Albany crew shows up for any junk removal session, you’ll be encouraged to do all your pre-sorting. This is where you go through all the boxes, shelves and other storage areas in your home to decide exactly what you can get rid of. When clearing out the clutter of your kid’s room that sorting process could take a while longer. That’s because every item could become the inspiration for playtime! However, what you get them to focus on separating the things they want to keep from the stuff they can get rid of then the sorting can kick into high gear. Part of Junk King Albany’s operating philosophy is that they do all the work. That includes climbing stairs up to those bedrooms to remove all that unwanted stuff. Hiring Junk King Albany to help with your kid’s room can also inspire you to remove all the clutter from the rest of your house. You certainly don’t want your child pointing out the fact that they have to clean their room but the rest the house stays messy! Although you might have spent a lot of money on the stuff you’re now throwing out, you shouldn’t feel like it is going to waste. When Junk King Albany does the collecting, they’ll make sure that those unwanted toys, books, furniture and clothing will be dropped off at a local charity. That way they can be put to better use. Give your kid and your home a total makeover with a little help from Junk King Albany. This entry was posted in junk removal and tagged bedroom, clutter, Junk King, junk removal on July 21, 2016 by Todd Porter. Last updated August 16, 2017 .